Today I am going to share with you some amazing benefits of Guava leaves for hair. I had a horrible haircut a few months ago and I had also lost a lot of hair due to hair fall too, my hair felt so thin and sparse, I was almost in a state of depression because of my falling hair. 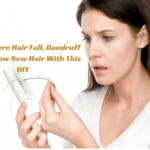 I had been using different hair masks and many diy’s to control my hair fall but nothing helped. Then one day while surfing the net I came across a post which mentioned the amazing benefits of guava leaf water for treating hair fall and hair thinning. I was astonished to read how something as simple as leaves of guava fruit could do hair a lot of good. 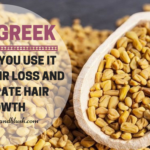 I was intrigued and researched about it on Google and found out that there were tons of people who had tried it out and it had helped them to cure hair loss. So let me explain to all of you How to Use Guava Leaves to Stop Hair Fall. Hair loss is a very common problem amongst men and women of all ages. 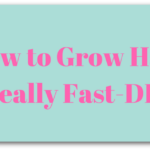 Luckily there is something as simple as this Diy to stop hair loss completely. Guava is rich in a wide variety of nutrients that are beneficial for your health, skin and hair. All these different nutrients have a effect on the different organs of the body. Guava is rich in Vitamin B which helps to maintain good healthy hair. Vitamin B which is extremely beneficial for the growth and maintenance of healthy hair is found in abundance in the guava fruit as well as in the leaves of this fruit. Vitamin B3, B5, B6 makes your skin glow and Vitamin B2 helps in repairing damaged cells and tissues. More than the fruit it is the leaves of the guava tree that provides many benefits to our hair. According to experts, the guava leaves can prevent hair fall and help us make our hair healthy. 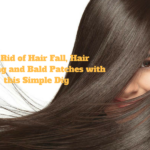 Let’s admit it, everyone of us have experienced hair fall at some point in our life and despite of trying various anti-hair fall products, home remedies and treatments it seems nothing can resolve this problem. Guava is probably the best natural remedy in case of hair related problems. Guava is also rich in Vitamin A, C,B, Potassium and Lycopene. Researches claim that regular use of guava leaf water can accelerate hair growth and stop the hair from falling due to the high presence of Vitamin B, which is vital for hair growth. How to use guava leaves for treating hair fall? 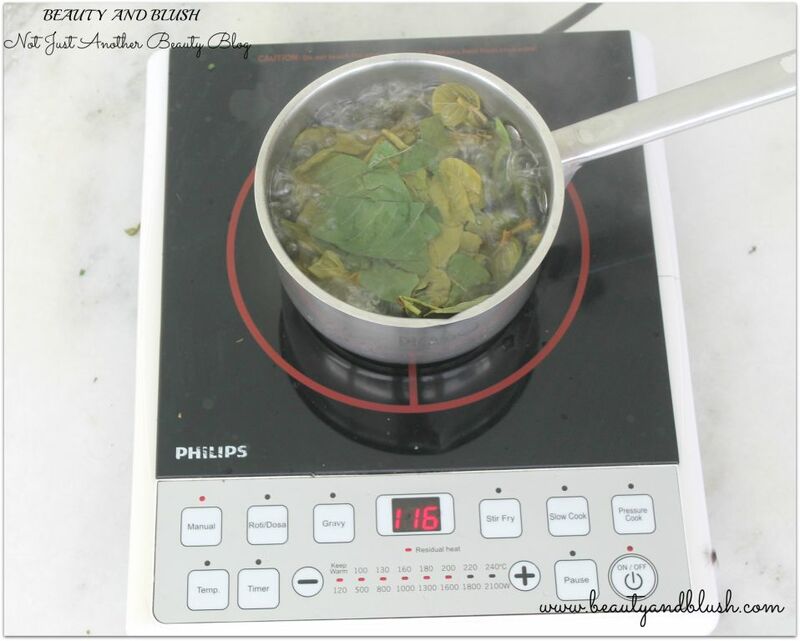 Take about a litre of water, add in a handful of guava leaves and let it boil for 15 minutes on low to medium flame. After 15 minutes allow the potion to cool down completely. Strain the leaves and keep the water in a bowl. Use this water to massage your scalp and the roots of the hair. Wash your hair as usual with any SLS and paraben free shampoo and then apply this concoction to your scalp. Massage it in with very light pressure into your scalp. Leave it in your hair for an hour or so and then rinse off with tap water. For added benefits you can pour this water into a spray bottle and spray this tonic on your hair roots, massage it in and leave it overnight. Wash off in the morning with any mild shampoo. Guava leaves have a miraculous ability to stop hair loss and make it grow back. Use of guava leaf water helps immensely in controlling hair fall. When you massage your hair roots with this concoction regularly the roots of your hair are strengthened and thus it prevents hair loss. Massaging with this solution also leads to healthy follicles giving you thick and strong hair. I read about this guava leaf miracle remedy to cure hair loss on internet somewhere and was intrigued to try it out. I rushed outside to grab some guava leaves and prepared this miracle potion and tried it out on my hair the next morning. I didn’t see any major improvement in my hair fall after the first wash but soon after my hair dried I could feel my hair felt a lot thicker than they actually were. 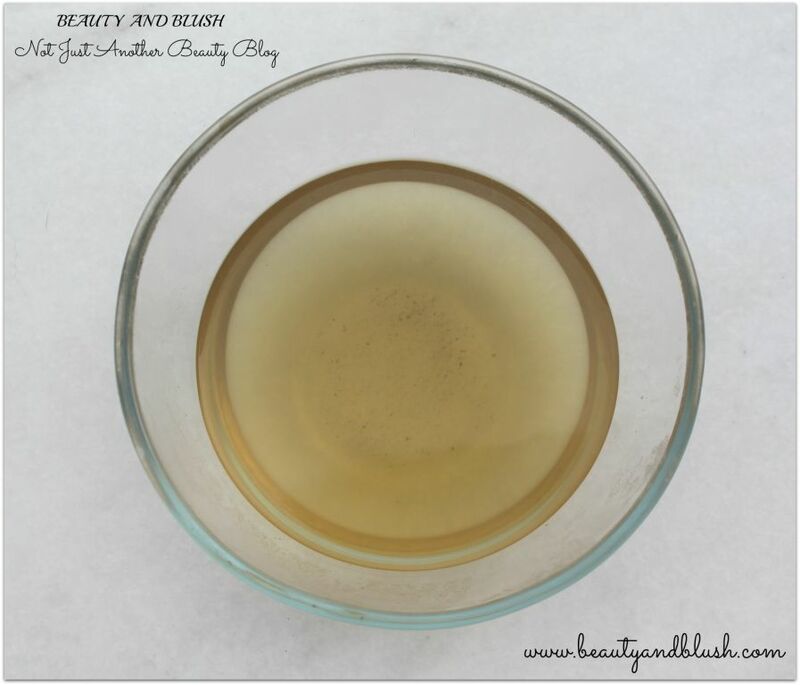 I kept using this potion on my hair every third day and after 3 washes I could see a major reduction in the hair fall. After using it for a month now my hair fall is very minimal, my hair feels a lot heavier and thicker. When I take my hair in my hand to make a pony my fair feels heavy as compared to what they felt a month back. I think this was god sent for me. I still can’t believe that something as simple as guava leaf water could do wonders to my hair. You might experience a little bit of dryness in your hair post usage but after 2-3 washes your hair will become very soft. I think I am going to use this for my hair all my life. 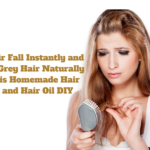 It is such a easy and natural diy that anyone can make it and see the wonderful results. The results may vary from person to person but I am sure everyone will benefit from it. Use it for a month and I think all of you will definitely notice healthy and bouncy hair. Try it out and let me know your experiences. Do try it out Vasundhara,it actually works.? How do you store balance of the tea ? You can store it in the refrigerator for 2 days. Yogita this super cheap diy,actually no cost diy is damn effective.Do give it a try dear.? Thanks for sharing this DIY, Yamini! I desperately need to try this out because I’m suffering from major hair fall problem in this season. Rakhshanda do try it out as it really works.? I have read such a thing with curry leaves but this is all the more easier. Definitely worth a try! Yeah I have also heard that curry leaf one but this one surely works for me.? 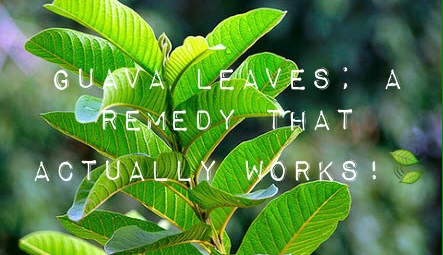 Never knew about this benefit of guava leaves. Alisha do try it out and I am sure you will be definitely see the results within 2-3 washes.Do share your experiences.? Excellent DIY Yamini 🙂 But no guava tree here at my place (headbang) 🙁 Thanks for sharing this dear. Anamika try and find out a guava tree nearby because this Diy really helps. How awesome that you found a natural DIY remedy! That’s very impressive. I’ll have to inform my mother-in-law about this remedy as she has issues with her hair falling too. I’m sure she will appreciate it. Thanks for sharing! 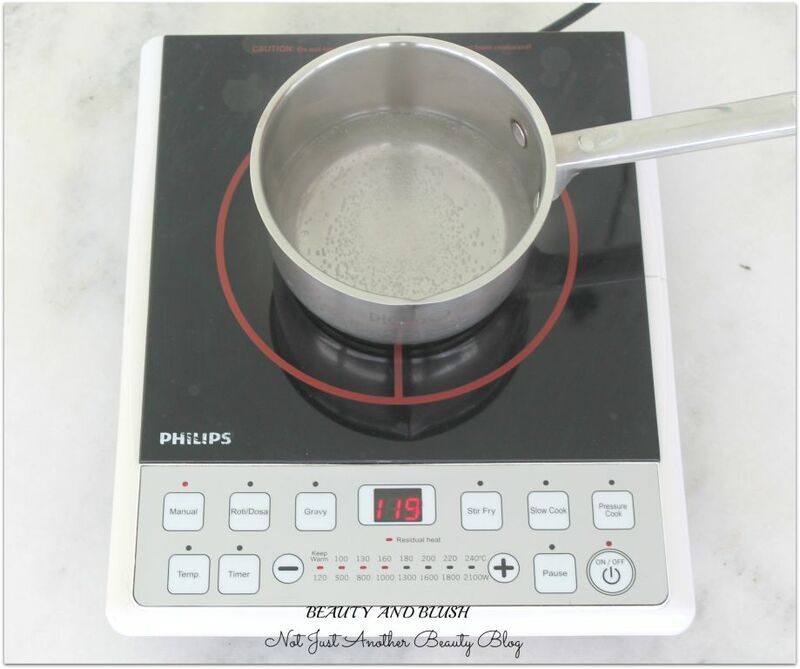 Lisa this diy really works.Do share it with anyone who is suffering from hair loss and hair thinning.Thanks dear.? Do try it out Anubhuti.? Thanks Yamini for sharing this. Love DIY and loved this post 🙂 Definitely gonna try it out ! Karishma do try it out and let ke know your experience.I hope it helps you too dear.? Ankita do try it out.I hope it helps you too dear. Sneha do try it,I am sure it will work for you too. I love such kind of articles. I believe nature heels the best. Thank you so much Shivani.? Shwetali we all suffer from hairfall in monsoons but this year I am experiencing minimal hair fall,all thanks to this diy.Do try it out dear. Do try it out Swathi…It really works…? Neha do try it out.It surely works.? Wow this sounds amazing. i ll have to search for guava leaves! Megha this is really amazing.Do give it a shot.? Thank you so much sweetie.? Soumya I will be sharing some diy’s for hair with curry leaves soon.So keep a watch on that.Thanks a lot,I am glad you like my Diy’s. Meriam you can spray it on your scalp but it will make your hair a bit dry so apply a leave in conditioner to solve that problem. How long can I keep this guava water in bottle..I made the potion and have been using it for few days now..today when I opened the bottle I felt a foul smell from it..is it still ok to apply it on my hair ? Please share your thoughts and thank you in advance..
Hi.You can prepare the guava leaf water and you can store it in the refrigerator for 5-6 days.If there is a foul smell do not use it as it may have turned bad.I like to prepare my guava leaf water a day before I have to wash my hair but you can use it if you keep it in a refrigerator for few days. I am so happy that this diy is working for you.Keep me posted about your experience with this diy Prasanth. Worked great for me but hair gets a little dry but it grew so much and has a lot of body. Sonia if your hair gets dry after using the guava hair rinse you can use a little bit of Coconut milk and curd hair mask for your hair once a week.It will make your hair soft and shiny. I’ve tried this once so far and I’ve noticed my scalp feels heavy?? Has anyone felt that? Hi Mel, I have been using it a lot lately but I haven’t felt anything of this sort. Hi yamini are u still using guava leaf tea on your hair? Did it help control your hair fall? Hi Srilata, I have been using it and off and believe me the guava water really stopped my hair fall and it did make them thick and bouncy. Can we store this water and use it when required???? If yes plz tell how to store it…. Ruby you can store this for 4 days in the refrigerator.